Public relations consultancy services in Auckland and NZ. Our experienced PR team gets great results! If you are looking for public relations and communication that gets results, then you've come to the right place. Our award winning team will make your PR and marketing budget go further by providing expert communication advice whenever and wherever you need it. 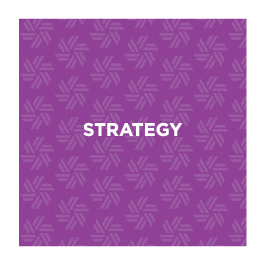 Working with us is easy because we can take care of all of your communication needs – from developing the strategy, to putting it into action. Highly skilled, deep experience: Everyone at Cadence is a highly skilled practitioner with deep experience, which means you will always get insightful advice and high quality output. Value for money: Our low overheads and fair pricing makes your PR budget go further. Integrity over profitability: You can count on us to do the right thing for your business – even if it means suggesting that your money could be better spent on something other than PR. Insight and intelligence: We quickly get to the heart of the matter, ultimately saving you time, money and hassle by focusing your PR on what will get the right results. Enduring value: Our workshops and wise counsel provide clients with knowledge and tools that they can use to improve their own communication skills. ...for clear, impartial and insightful public relations solutions. Sign up to receive public relations tips and other useful PR information. We respect your privacy and promise not to share your details with anyone. You may unsubscribe at any time. Sign up to receive an email that alerts you every time we post a new blog (you will need to sign up separately if you want to also receive our newsletter). We respect your privacy and promise not to share your details with anyone. You may unsubscribe from the alerts at any time.